The 2016 Democratic presidential nomination fight between Bernie Sanders and Hillary Clinton framed much of Tuesday’s broadcast debate between Maine Democratic gubernatorial candidates. Good morning from Augusta, where it feels a lot like March 2016 — and not just because of the weather. The 2016 Democratic presidential nomination fight between Bernie Sanders and Hillary Clinton framed much of Tuesday’s broadcast debate between Maine Democratic gubernatorial candidates. Sanders easily won the Maine caucuses in March 2016, but lost the nomination to Clinton, an established front-runner who went on to lose the general election — and Maine’s 2nd Congressional District — in a shocking upset to political outsider Donald Trump. One problem with the debate, co-hosted by WGME and the BDN, was that there were seven participants. That limited the questions that could be asked and made it difficult for any of the candidates to stand out from the field. The debate affirmed Janet Mills’ position as the perceived front-runner.With half of the other candidates directing questions at her, those seeking to cut into Mills’ perceived lead tried to put her on the defensive. But for the most part, she rebuffed their efforts to portray her as against raising the minimum wage or pro-gun with some of the most detailed responses in a debate that was starkly lacking in details. For others, it was a battle for the Bernie Sanders voters. Candidates staked out positions to the far left, well into the realm of democratic socialism, while trying to portray themselves as populists by defending ranked-choice voting and championing the referendum process while shying away from questions about the repercussions of those ballot questions. Betsy Sweet tried to highlight her status as the only publicly financed candidate, while Diane Russell touted her crusade against superdelegates during the 2016 Democratic National Convention. There was lots of talk about universal health care, income inequity and “the will of the people,” but almost no mention of government stewardship, fiscal responsibility or what might have to be cut over the long term to increase funding for public schools or Medicaid. Mark Eves is running against the National Rifle Association in the primary.It might win him votes from southern Maine progressives but it likely creates obstacles for him in the more rural, conservative 2nd District, where Democrats have shed voters in recent decades and where hunting is more prominent in the regional culture. It’s also worth noting that voters sided with the NRA to beat back a 2016 referendum to expand gun background checks in Maine. Adam Cote tried, with limited success, to portray himself as an outsider,but his efforts to do so sometimes appeared calculated and rehearsed. His campaign seems to want to emphasize that he is different from other candidates who have spent years in Augusta, but that did not manifest itself in the debate. Donna Dion, arguably the least well-known of the seven, used her time to try to introduce herself to voters, play up her underdog status and portray herself as a strong woman who had to overcome a male-dominated political culture during her tenure as mayor of Biddeford. Mark Dion, who often offers sophisticated arguments on legal and energy policy matters in the Legislature, tried a more folksy approach. A former sheriff, he played up character issues, arguing that the next governor needs to be even-tempered and a good listener. Maine Democrats, who have not won a statewide race in 12 years, continue to define themselves largely by who they oppose: Paul LePage, corporations and legislators who thwart citizen initiatives. 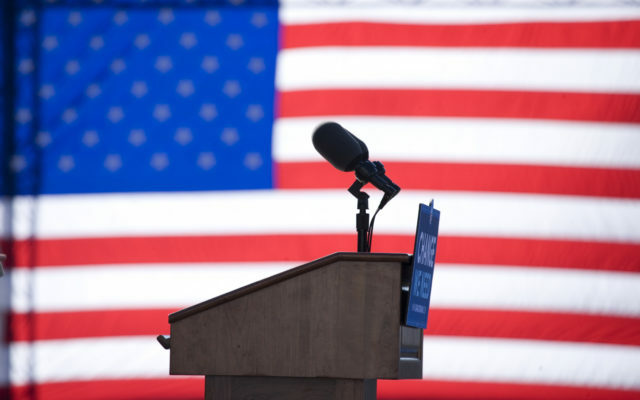 The bulk of the candidates’ most fervent rhetoric was directed at past initiatives that stalled, such as Medicaid expansion and 55 percent funding for K-12 public education. We heard about how they want to drag some stalled Democratic initiatives across the finish line, but few presented a vision for how Maine would look under their leadership. In some ways, it was a throwback to the process-focused Democratic themes espoused by party nominee Libby Mitchell in 2010. Campaign dynamics will shift often in the two months before the primary.But — for now — the framework of the Democratic contest for the nomination to succeed LePage remains one in which multiple candidates will court the progressive wing of the party that turned out for Sanders in 2016 while the most established party insider makes the case that her experience gives her the best chance of winning the general election in November. The Fiddlehead Focus/St. John Valley Times is pleased to feature content from our sister company, Bangor Daily News. To read the rest of “Left versus inside: Recapping the Maine Democratic gubernatorial debate,” an article by contributing Bangor Daily News staff writer Christopher Cousins, please follow this link to the BDN online.